Unlike their earlier books illustrating philosophical ideas, this book lacks clarity. 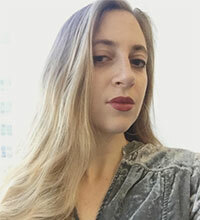 In one episode of the series Younger, an aspiring writer blackmails the protagonist, who is lying about her age, into publishing her advice book as told from the perspective of her golden-doodle. The idea is both extremely mundane and extremely absurd, and the book becomes an (un)expected huge success. Throughout its 28 chapters, it touches on the pillars of philosophy: the meaning of life, pragmatism, hedonism, naturalism, metaphysics, determinism, and moral relativity. The book works best when the philosophical concept allegedly embodied by a cartoon is, for lack of a better definition “cool”: a vignette depicting Pinocchio saying “my nose grows now” is actually an illustration from 1901 by Carlo Chiostri and leads into an explanation of Zeno’s paradox, the one denying the existence of motion, which became famous with the anecdote of Achilles and the Tortoise. A cartoon of the three kings saying “do you realize this means 2000 years of Christmas records,” becomes the perfect setup for explaining determinism through a paraphrasis of Laplace’s demon, or an elaboration of the concept of the butterfly effect, only to point out how quantum physics proved that principle wrong. This formula is less effective when concepts become more complex. Pessimism is played for the lolz in a text block relating to a cartoon featuring two fish in a glass filled to the halfway point — one of them has its face in the water, the other up in the air, and they’re debating whether the glass is half full or half empty. Simone De Beauvoir’s belief that “existence precedes essence” is briefly dealt with as an explainer of cartoons of a bunch of attractive female construction workers catcalling a male white-collar worker. All it made me think of was the shouts-and-murmurs-style story Hillary Clinton’s Locker-Room Talk. However, while the duo’s previous books tackle more specific topics — Heidegger and a Hippo Walk Through Those Pearly Gates is about philosophical wisdom surrounding death; The Trolley Problem explores the ethical conundrum of the same name under the lens of ethics and logic — I can’t help but think that its digital equivalent would either be a listicle or a slideshow tentatively titled “Whoa! These cartoons can teach us philosophy!” and, as such, that it’s destined to become a stocking stuffer, because it’s cute, it can be consumed in tidbits, and is too much of a crowd pleaser to be truly remarkable. 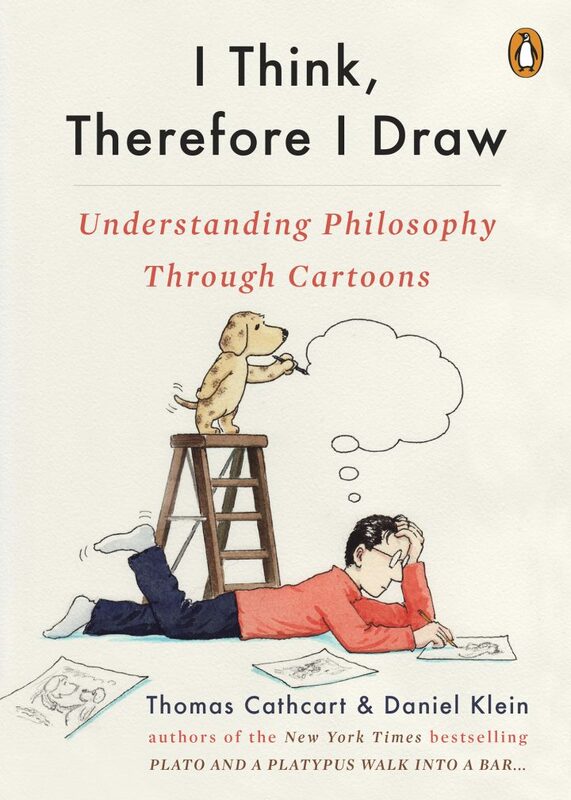 I Think Therefore I Draw: Understanding Philosophy Through Cartoon by Thomas Cathcart and Daniel Klein (2018) is published by Penguin Books and is available from Amazon and other online retailers.